Take a special tour of the Bartram’s Garden library and its collections with curator Joel Fry and stay to see the ongoing exhibit. Visit the garden and see a display of a new addition to the collection. 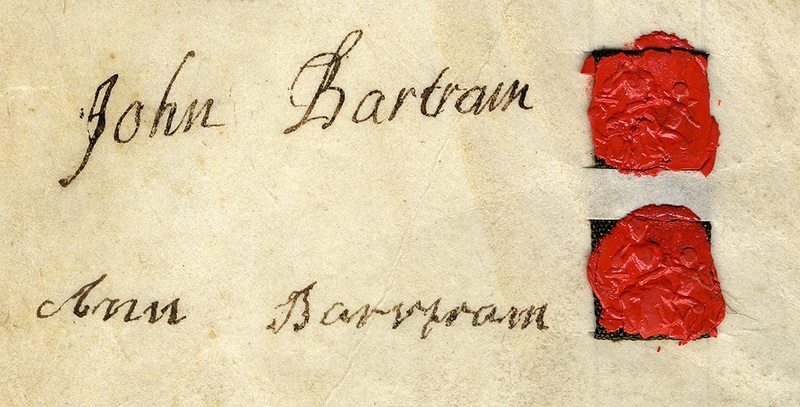 A letter from Benjamin Franklin, dated London, 1769 — with an undated seed list of 102 species by John Bartram on the rear, donated to Bartram’s Garden by the McNeil Americana Collection and the Barra Foundation, is the focus of this exhibit. Tours are limited to 12 people and reservations are required to tour the library. (Reservations are not required to tour the garden and see the exhibit in the welcome center.) Visitors will be able to take in highlights from the collections, including books and manuscripts related to the history of botany and its practice in the area and another important recent library addition: a mid-19th century herbarium of plants collected locally by Emma Thomas who lived in the house Whitby Hall in the 1860’s. More information on Bartram’s Garden: http://www.bartramsgarden.org/. Follow Bartram’s Garden on Facebook.